Empower yourself through easy access to your diasend® diabetes data. 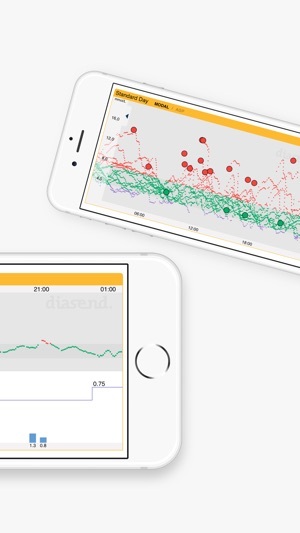 The diasend® Mobile App allows you and your loved ones to easily view and track your diabetes progress right from the palm of your hand. - Check if you are within target range. - Identify possible patterns to give you better control. - See at what times you typically test. - View information from your favorite activity tracker. 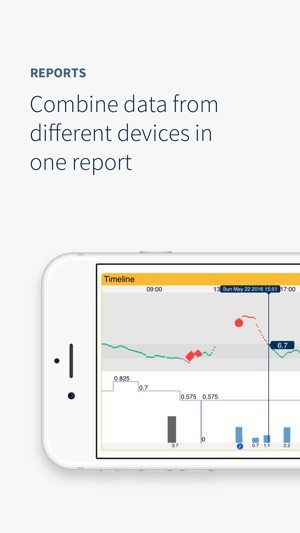 - Combine data from different devices in one report. 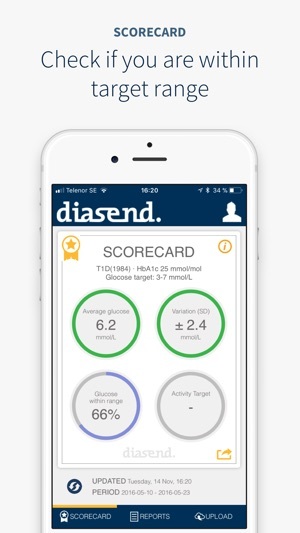 The diasend® system, the world’s most compatible diabetes data management system, provides easy uploading and visualization of information from most glucose meters, insulin pumps, CGMs, connected pens and a number of activity tracker apps. 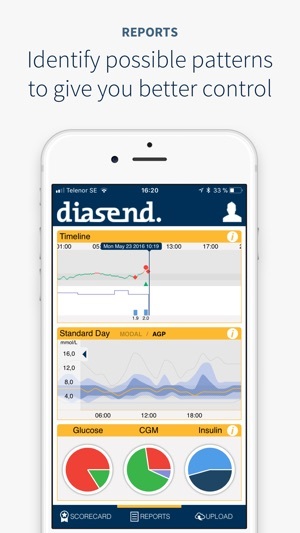 As a patient, you can upload data either from home (using diasend® Uploader), from your clinic (using diasend® Transmitter), or on -the-go (for some devices, using diasend® Mobile App) – and then view compiled information in a clear and structured way at www.diasend.com. Just like your health care provider. And, with the diasend® Mobile App you get easy access to the very same information – on-the-go! 2. Start it, login or sign up for your free diasend® account. 3. If you are using a device from the list below, data can be uploaded straight from diasend® Mobile App. If not, login at www.diasend.com and connect your glucose meter, insulin pump or CGM to the system. If you have any questions or feedback – please reach out to us at support@diasend.com. Användargränssnittet ser gammalt å tråkigt ut och är inte anpassat till mobiler som iPhone X och uppåt. Mycket tråkigt med gammal design då appens funktioner är mycket bra.